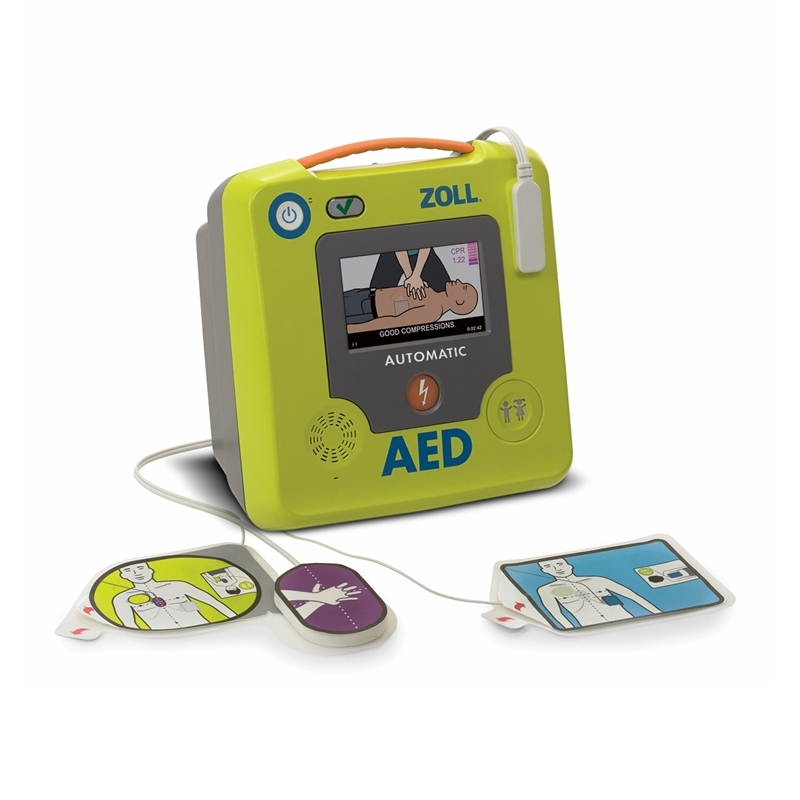 The ZOLL AED Plus® does more than just defibrillate. It is the only AED that ensures Infrequent rescuers respond appropriately during a sudden cardiac arrest emergency. How? It coaches them quickly and simply through every important step of the rescue process. Only the AED Plus with its exclusive, one-piece electrode can measure the rate and depth of chest compressions during CPR. It immediately tells rescuers how well compressions are being performed. With graphic and audio prompts that deliver instantaneous prompts and feedback, only the AED Plus ensures rescuers can perform the most effective CPR. And every victim needs the best possible CPR to survive. 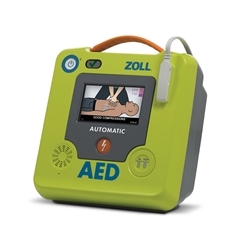 The ZOLL AED Plus unique graphical interface, pictures combined with text displays and voice prompts helps the rescuer every step of the way. By using CPR hand placement as the landmark, it is easy to place the CPR-D•padz on the victim quickly. The CPR-D•padz also lasts five years - the longest shelf life of any electrode sold today. Regardless of whether it is a lay person or a professional rescuer, the AHA/ERC guidelines place a greater emphasis on the importance of CPR and advocate the prompt initiation of effective bystander CPR to significantly reduce mortality due to out-of-hospital Cardiac Arrest (CA). Two parts, one expiration date. Pad-Pak™ cartridge combines battery and electrode pads, with only one expiry date to monitor. Two-button operation. Only two buttons, ON/OFF and SHOCK are required for straightforward operation. Always ready. A System Status Ready Indicator flashes to show that the complete system is operational and ready for use. The device also automatically runs a self check each week. Portable and lightweight. 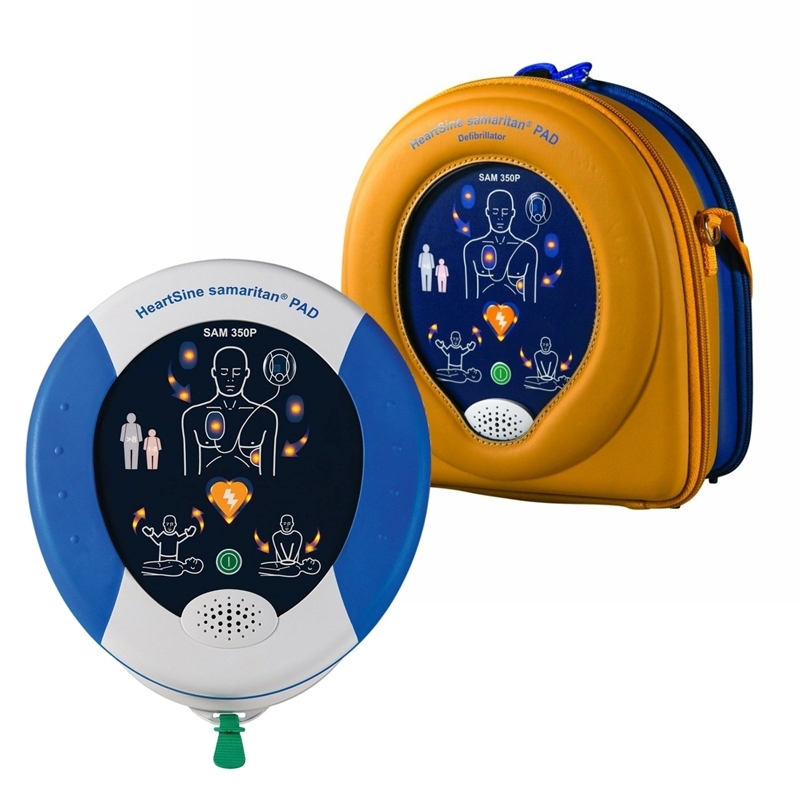 The samaritan PAD 350P is lighter (1.1kg/2.4lbs) and smaller than other defibrillators. Durable. The samaritan PAD 350P resists shock and vibration and has a rating of IP56 - the highest level of protection from dust or moisture ingress. It also has a ten-year unit warranty. Low cost of ownership. With a shelf life of four years from date of manufacture, the Pad-Pak™ offers significant savings over other defibrillators that require separate battery and pad units. Our great value package deals include everything that you need to provide a defibrillator in your office, community hall or public building, at a great price!